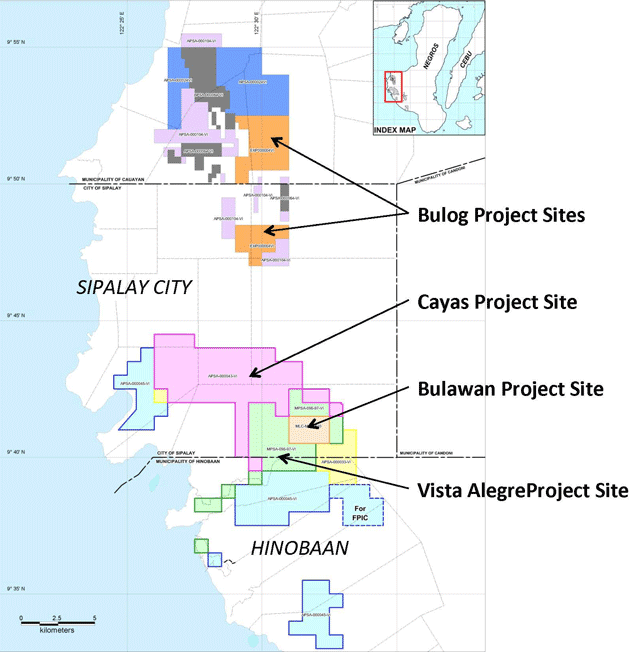 The Bulawan project, in Sipalay City, Negros Occidental, is a gold operation that was mothballed in 2002, and has since been kept under care and maintenance. The mine was decommissioned because of low metal prices prevailing at the time. But with gold prices becoming significantly higher since then, Philex Mining Corp. started looking into the possibility of reopening the mine for operation, and is currently undertaking a drilling program to establish if its current resource–23.9 million tons containing 1.91 grams of gold per ton–could be increased before committing further funds for the project. In preparation for the upcoming prefeasibility study of Bulawan mine, a scout drilling campaign was conducted in the vicinity of Bulawan. The main purpose of this drilling is to test the last remaining exploration plays, in the hope of augmenting the remnant resources. A total of 4,944 meters were drilled in 17 holes. The drillings focused on testing deep root systems in the North Block, the Central Block, and in between the South Block and Korokan. Shallow drillings were also conducted to test remote extensions of the North Block as recognized from new induced polarization surveys, and from rapid computer modeling of Bulawan deposit using the Leapfrog software.